In 1907, Hornaday had 100 of these new baskets deployed around the park. 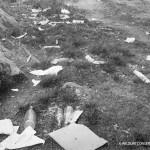 The ‘War’ officially started the year after, in May 1908, with 150 large anti-littering signs displayed in prominent zoo locations and a “a manifesto by the Director [that] appeared in several of the newspapers of New York City, formally declaring war on the rubbish-throwing habit” (Hornaday, writing about himself in the third person in the New York Zoological Society Bulletin, October 1908, pages 456-457). Hornaday celebrated the results of that first campaign by noting the encouragements his efforts had received; he followed up with exhortations to the people and officials of the City to continue the work [ibid.]. 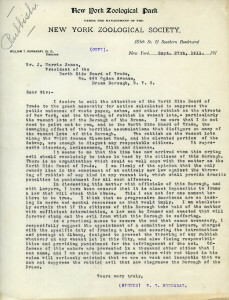 However, this work would prove to be an ongoing project: Hornaday would find himself continuing his struggle against litter for the next 15 years, taking his fight from the grounds of the Zoological Park to New York City’s Mayors—particularly John P. Mitchel —Police Commissioners, and Parks Commissioners. Hornaday’s incoming and outgoing letters on the subject show that he received sympathy and encouragement, but little concrete success. 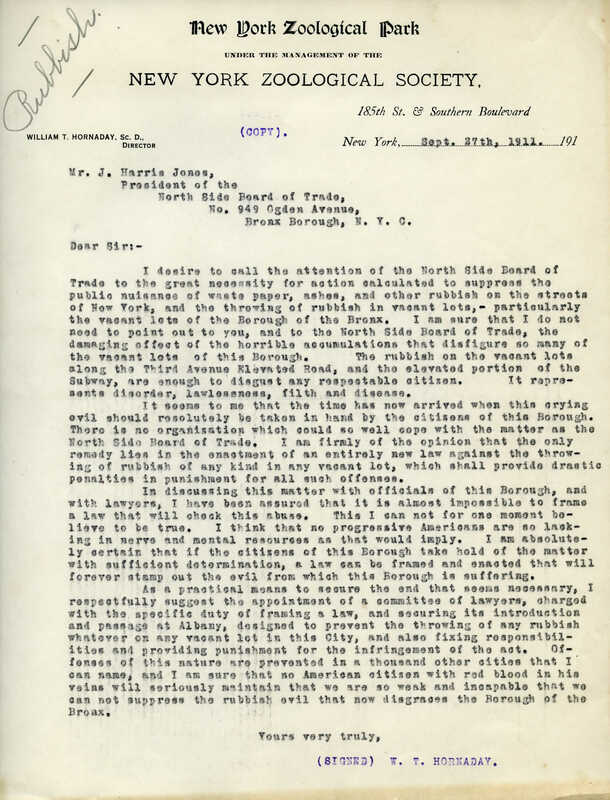 From WCS Archives Hornaday-Blair Correspondence Collection 1001, Hornaday to the North Side Board of Trade, September 1911. A same-day response from the Board of Trade is linked to (in pdf form) above. 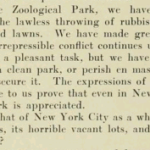 Hornaday’s success lasted throughout Mitchel’s term; indeed in 1916 the anti-littering code Hornaday had insisted upon for the Zoo was put into effect at all New York City parks (NYZS 1916 Annual Report, pages 65-66). After Mitchel was succeeded by John F. Hylan, however, Hornaday’s efforts saw diminishing returns. 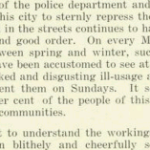 The 1917 and 1918 Annual Reports mention arrests and summonses that were issued for violations of the anti-litter ordinance, but Hornaday’s lobbying had considerably less effect on Hylan and his new Police Commissioner, Richard Enright, than they had on Mitchel and Woods. Hornaday had somewhat better luck with Joseph Hennessy, the Bronx Parks Commissioner, who was the first to call for a special NYPD detail devoted to city parks. 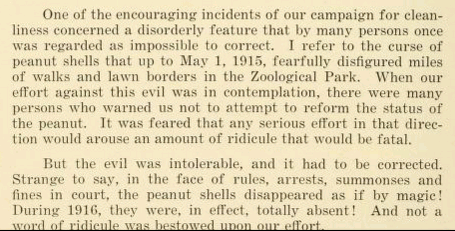 However, even while lauding Hennessy, Hornaday sounded as if he had grown tired of repeating himself, calling “the tendency toward vandalism in public parks […] too well known to require description” (1919 Annual Report, page 105). 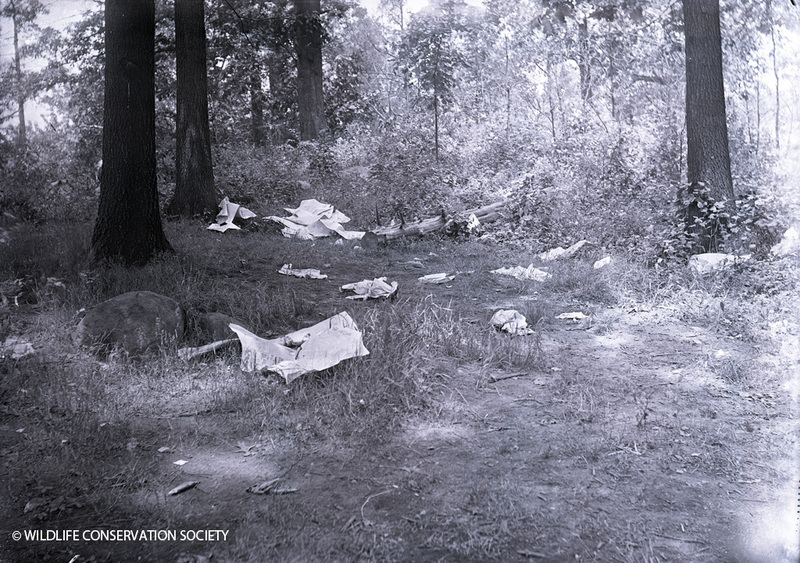 Nevertheless, the efforts didn’t continue much longer, as Hornaday retired from the Bronx Zoo in 1926. 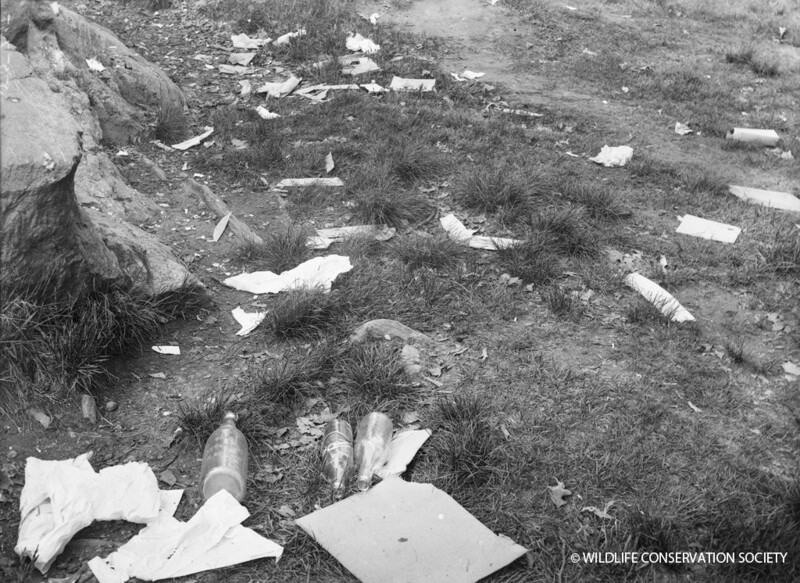 These days at the Zoo, it’s rare to see peanut shells, newspapers, bottles, and other debris in quite the profusion that Hornaday railed against. 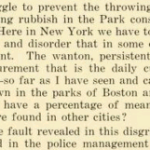 Parks Commissioner Hennessy’s NYPD Parks detail has had a long-time presence on the grounds, and zoo-goers have had decades to get accustomed to (generally) not littering in parks. And for those who still do, we have our ever-vigilant facilities departments on hand to continue Hornaday’s ‘Rubbish War’! Three cheers and many thanks to the cheerful and effective men and women who keep BZ clean these days. It must be the cleanest place in the city, even on our busiest days. Not an easy thing to accomplish!